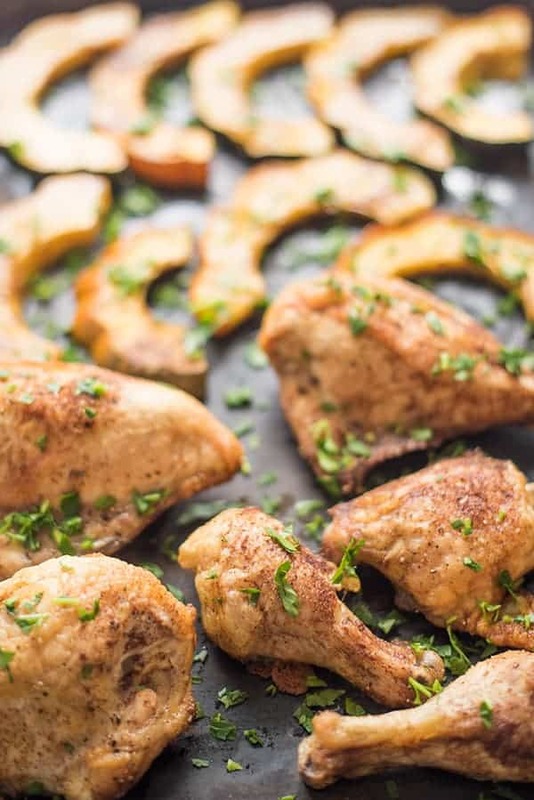 Chicken and acorn squash are sprinkled with cinnamon, salt, pepper and olive oil then roasted until golden brown. 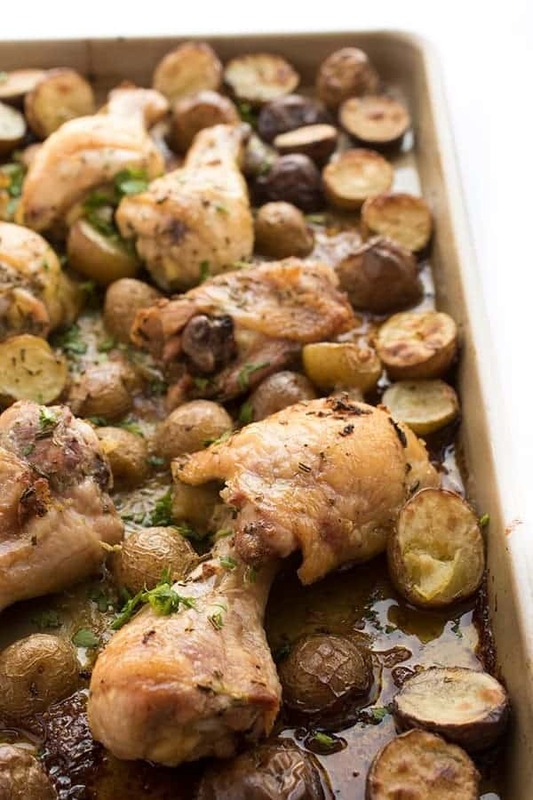 This simple sheet pan dinner recipe is perfect for busy week nights! 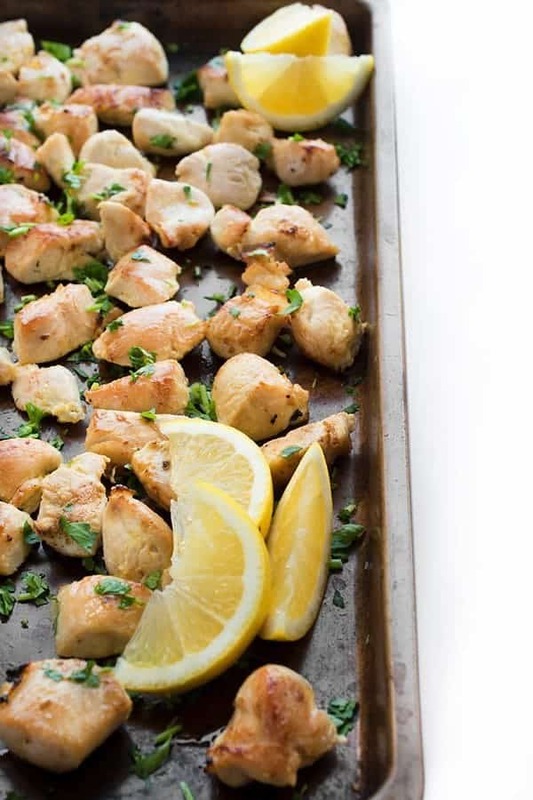 We can all use a few more easy, healthy chicken recipes – am I right? 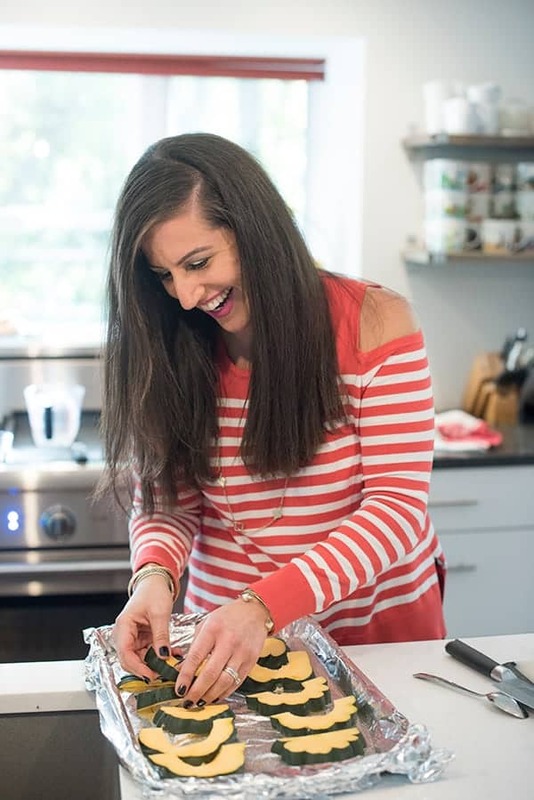 Lately, I’m all about the sheet pan dinner, especially on busy week nights. Versatile, nutritious and oh-so-delicious, you really can’t go wrong with roasting meat and vegetables all on the same pan. 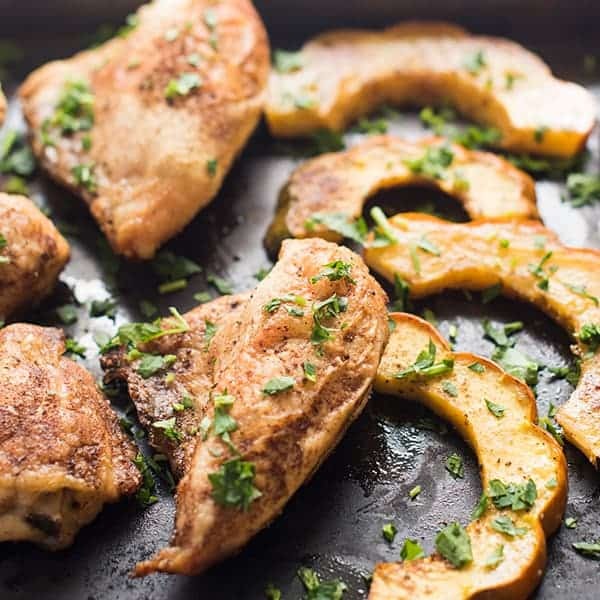 For this particular recipe, I season the chicken and squash with warm cinnamon, garlic powder, olive oil, salt and pepper. If you’ve never tried using cinnamon in savory dishes, I urge you to give it a shot. In fact, we sprinkle cinnamon on everything from beef to eggplant. 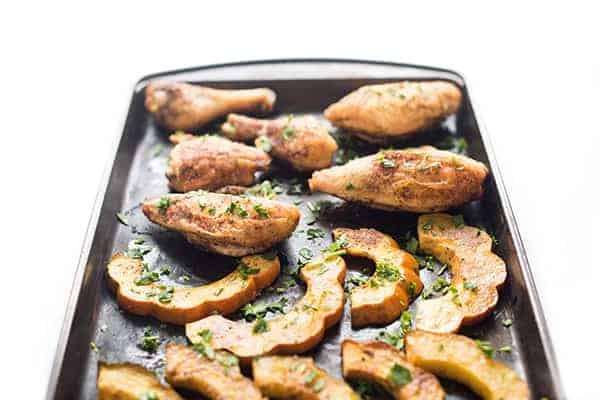 If you don’t have acorn squash on hand, this recipe would be just as good with butternut squash, sweet potatoes or any other root vegetable. 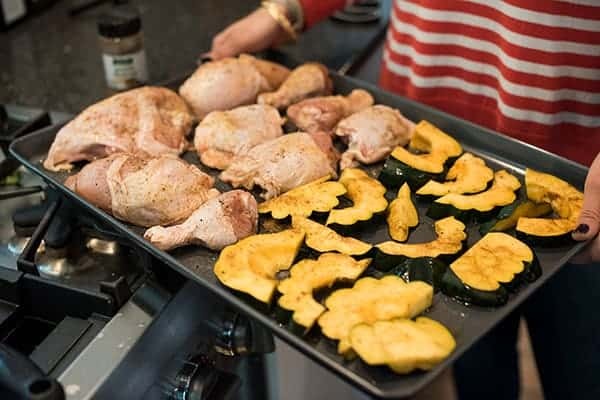 Place chicken pieces and acorn squash slices in a single layer on a large baking sheet. Nutrition facts do not include the skin of the chicken. This is the perfect meal for students and single people. Easy and delicious! Hi! Can I adapt this for boneless breasts? Yes for sure! The cook time would just be reduced. 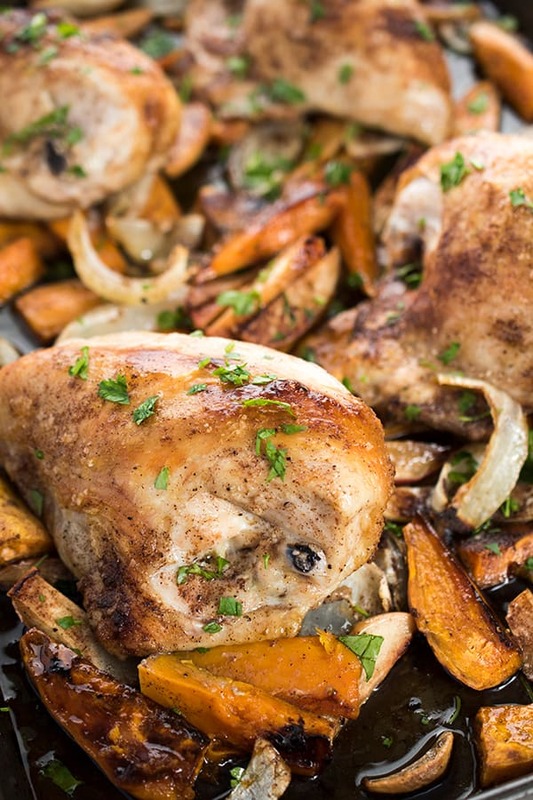 I am always on the look out for new ways to cook chicken, and this recipe is unquestionably one that I appreciate. 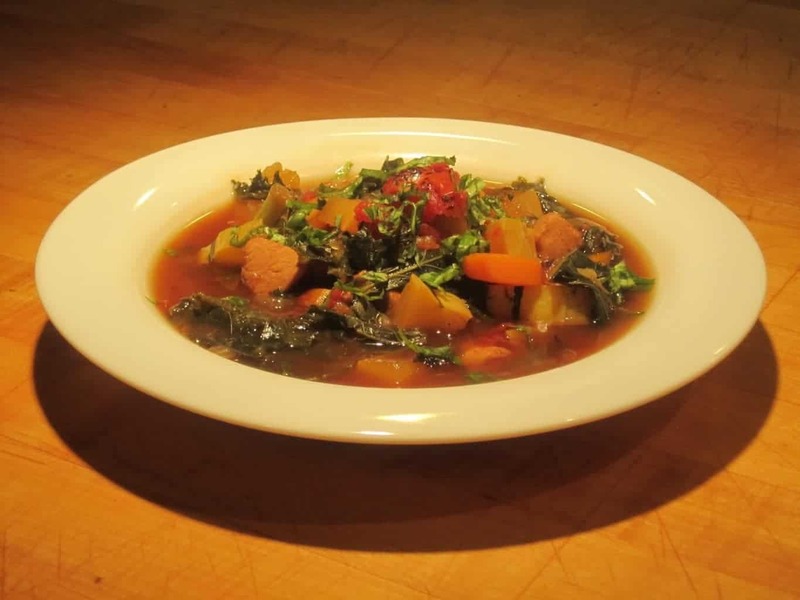 The ingredients are simple, the preparation time is minimal and it is a no fuss dish. This dish was so delicious and easy!!! Can’t wait to make it again! My whole family loved it! Double bonus for a healthy, low budget meal!!! ???????? I’m so happy to hear that friend!!!! This sounds so delicious, Liz!! And with our new WW Freestyle program, if I have the chicken breast it will be 0 smart points!!! Woohoo!! Hi there – can’t wait to try this! The problem I have with roasting chicken and veggies together is that the juices from the chicken that are released during cooking tend to steam/boil my veggies instead of roasting them. I try to remember to drain some of the juices during cooking, but the veggies just don’t seem to get the same “roast” on them. Any suggestions? That’s interesting I haven’t found that to be the case! 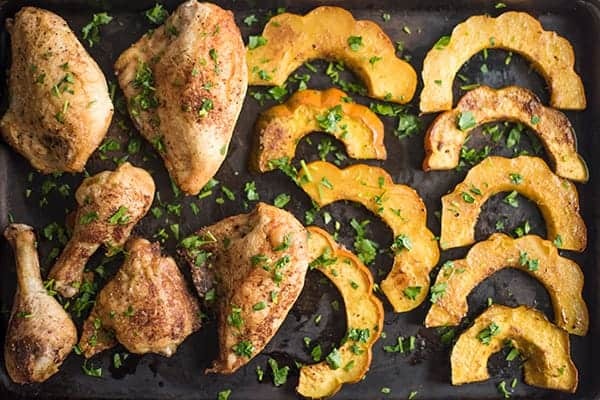 The squash cooks faster than the chicken so usually the chicken juices are much-needed at that point. I wonder if you’re cooking it too long? I’m not sure honestly!